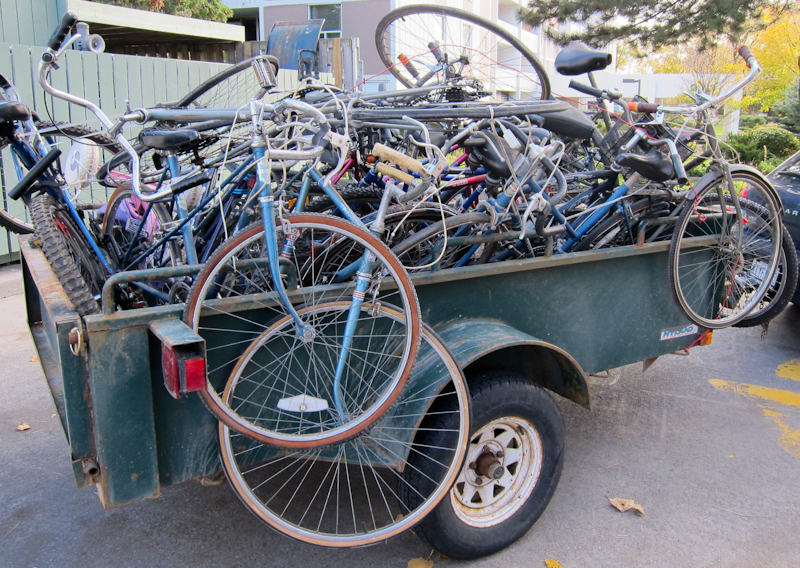 Last week while showing a cottage with Catharine on Lake Muskoka, I got a call that some 27 bikes abandoned at a number of Toronto condominiums, were going to to be crushed for scrap the following day unless someone intervened. So we attached our old trailer and headed from Muskoka to Toronto to load up the bikes. We then delivered them to a back alley behind a church; given the recent activities of Toronto’s Igor, the unofficial world champion of bicycle thieves (here’s a NY Times article), our trailer load drew some real attention from good samaritans. Trailer load of bikes, some with locks still on them. We were able to support a Toronto charity: Community Bicycle Network (CBN). CBN is a non-profit that repairs bikes, refurbishes and sells donated bicycles, sells new and used parts, rents trailers and bikes at affordable rates, and offer space to practice and learn bike mechanics and cycling skills. CBN has been dedicated to promoting community-based sustainable transportation initiatives since 1993. 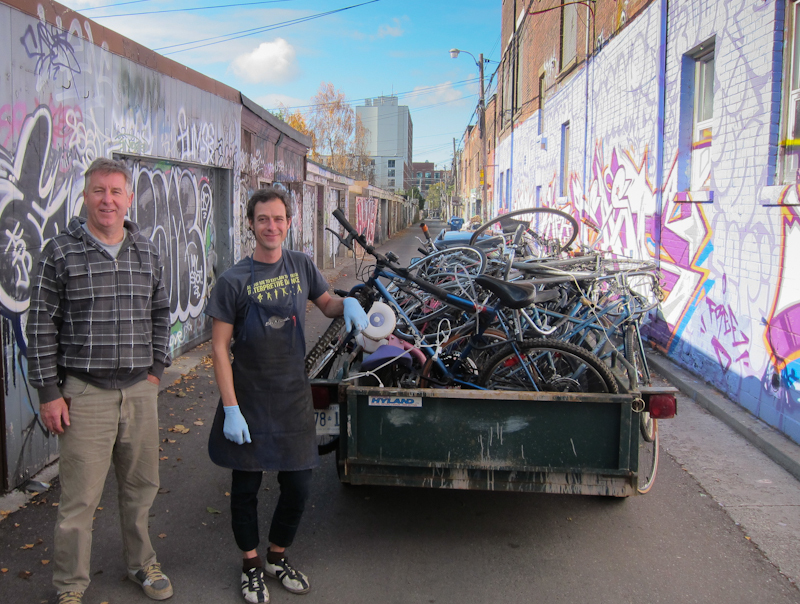 With just a little bit of time and effort, the donated bicycles will be sold at a very low cost to people that couldn’t otherwise afford them; instead of heading for a landfill. Thanks so much for the effort! John will ensure that any decent bikes get fixed up and back on the road. The others can be stripped down for used parts. Happy New Year!